We will be offering these two co-sanctioned rounds as extra WEXCR points paying rounds to be counted towards WEXCR series points in classes and overall rankings for our series. These will basically be “extra” rounds for all WEXCR riders and you are not required to attend these events if you don’t wish. Although these 2 events can count towards your best 9 events to qualify for our end of season banquet and with the addition of the co-sanction events it gives you 2 “extra throwaway” races for this season. These events will NOT count toward your “Ironman Award” as you will have to attend all 11 regular WEXCR rounds to qualify for it. WEXCR Peewee division racers: Unfortunately these 2 Co-Sanction events DO NOT offer any GNCC Micro classes/WEXCR points paying Peewee Bike or Mini Quad classes, these co-sanction rounds will only pay points for our Youth, Adult & UTV divisions. How will this work? Most importantly these events will be ran like all other GNCC events, so you must follow all of their general & class rules which can be found on the GNCC website. In order to gain WEXCR points for these events you must tell GNCC registration crew that you are a “WEXCR Co-Sanctioned” rider & you must also stop by the WEXCR tent beside GNCC registration to get signed up with us. We will be at our tent from 7am to 4pm on Saturday & 7am to 1pm on Sunday. (You the rider are responsible for doing this at signup, if you forget you will not receive WEXCR points for the event). If you use their online pre-registration system you will be asked for a WEXCR ID# during the process, just type in “YES” in that field. If you already pre-registered and you didn’t put in “YES” you must let GNCC know that you are a WEXCR co-sanctioned rider when you pickup your packet on race day and do not forget to stop by the WEXCR tent to check in with us. As far as the race classes you must run a corresponding GNCC class equivalent to WEXCR class which is listed on the chart below. If no exact corresponding class is available, we will score your WEXCR class points based on your overall results in your GNCC division race. Your WEXCR points will be based on your finish against other WEXCR racers, so your WEXCR points and finish position will more than likely be different than your GNCC points and finish position. See example below. 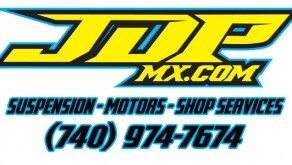 Pro, A, and B riders must ride PM races and corresponding classes to earn WEXCR points. C riders & most older age group classes are eligible for AM races and races. For clarification, no points will be paid for sportsman A or sportsman B as per GNCC rulebooks and these classes will not count towards WEXCR points. WEXCR overall scoring will be based on a combined GNCC PM/AM overall, see example below. Any riders running a points paying class in AM or PM race is eligible for overall points. WEXCR overall finishes will be counted as all PM riders first, then AM riders will be added to overall. 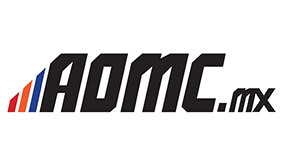 (again sportsman A and B do not pay GNCC or WEXCR class or Overall points). Please check the class structure list for a comparison of what GNCC class you should run to get WEXCR points. You must follow all GNCC rules for these 2 events, if you are not familiar with their rules and event costs click here to check out their website and review all rules and regulations before attending the events. There is no additional costs or fees involved for receiving points for our series, you are just responsible for the GNCC race fees. In order to gain WEXCR points for these events you must tell GNCC registration crew that you are a “WEXCR Co-Sanctioned” rider & you must also stop by the WEXCR tent beside GNCC registration to get signed up with us. We will be at our tent from 7am to 4pm on Saturday & 7am to 1pm on Sunday. (You the rider are responsible for doing this at signup, if you forget you will not receive WEXCR points for the event). You will be racing against all racers in your GNCC class for your GNCC points but your WEXCR points will be based on your GNCC class or overall finish against other WEXCR racers only. WEXCR Peewee Bike/Mini Quad racers: Unfortunately these 2 Co-Sanction events do not offer any WEXCR points paying classes, these co-sanction rounds will only pay points of our Youth, Adult & UTV divisions. If you run Adult Bike Open B with WEXCR you would have to either run the GNCC Open B, 250B or Jr 25+ A/B based on the class comparison chart above. Lets say you get 3rd in your selected GNCC class against all GNCC racers, you will receive a 3rd place plaque and 3rd place points from the GNCC. After the event we will look at the overall results for the GNCC Open B, 250B or Jr 25+ A/B classes and lets say you had the highest overall finish based on the WEXCR racers that run the WEXCR Open B class then you would receive 1st place points for the WEXCR Open B class for the event. We will have a WEXCR booth setup on Sat & Sun at both co-sanction events so make sure you stop by and say Hi and if you have any questions about scoring for these events we will be glad to help answer any questions you have! We are constantly evolving our class structure to try to align with GNCC racing and this is a great opportunity to see our riders excel at the national level. With the addition of our many youth, adult & UTV racers it should be a great turnout for the event and a great chance to introduce yourself to the “GNCC Racin Nation”! Good luck to you all and we’ll see you at the track! 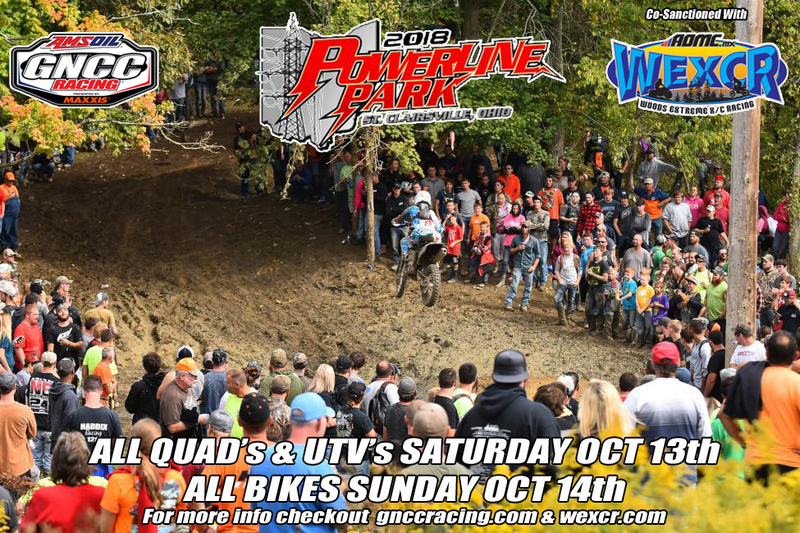 For complete details, costs & directions checkout the GNCC Powerline Park EVENT PAGE by clicking here!